No-one having 0ver 50% of the votes cast therefore Burden and Winter go through to the final round. All second preferences of the other candidates for Burden and Winter are counted. 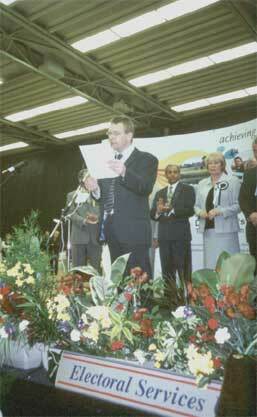 Therefore Martin Winter was Elected first Elected Mayor of Doncaster. Mr Winter had the support of 41.8% of those that voted, this was 11.9% of the total electorate.